The perfect harness for everyday use. 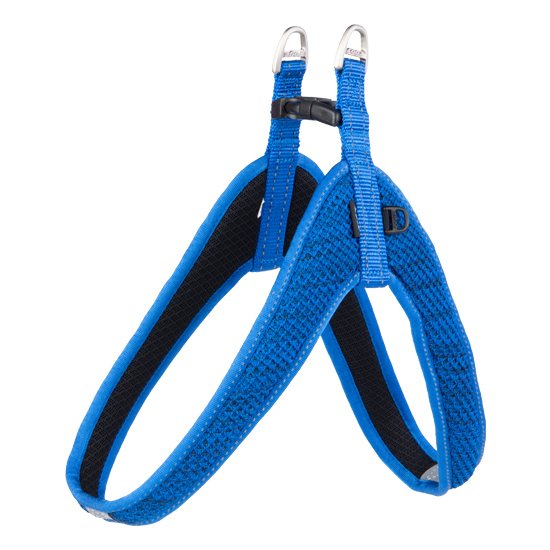 Just have your dog step into into the harness, pull either side up and clip neatly and swiftly over the back of your dog. Fasten your lead to the joined rings at the back by the clip and you're ready for the next adventurous walk with your dog! The Fast Fit Harness is available in 7 sizes and 5 colors. Shaken, not stirred, the ROGZ Utility Range remains remarkably innovative and fresh with its latest addition.